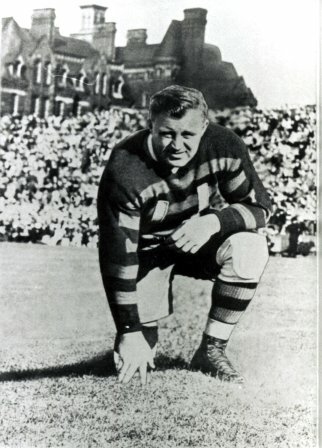 Brian Timmis, a native of Winnipeg, played football in Ottawa and Regina, but is best known for his career in Hamilton. Known for a battering ram style of running, Timmis could always be relied upon to smash through opposing lines, grinding out the necessary yardage. At 38 years of age he came out of retirement to assist Tigers in a playoff game against Ottawa. He received an unprecedented standing ovation from the crowd at Ottawa’s Lansdowne Park. Brian “Old Man of the Mountain” Timmis is a member of the Ottawa Sports Hall of Fame and Canada’s Sports Hall of Fame.